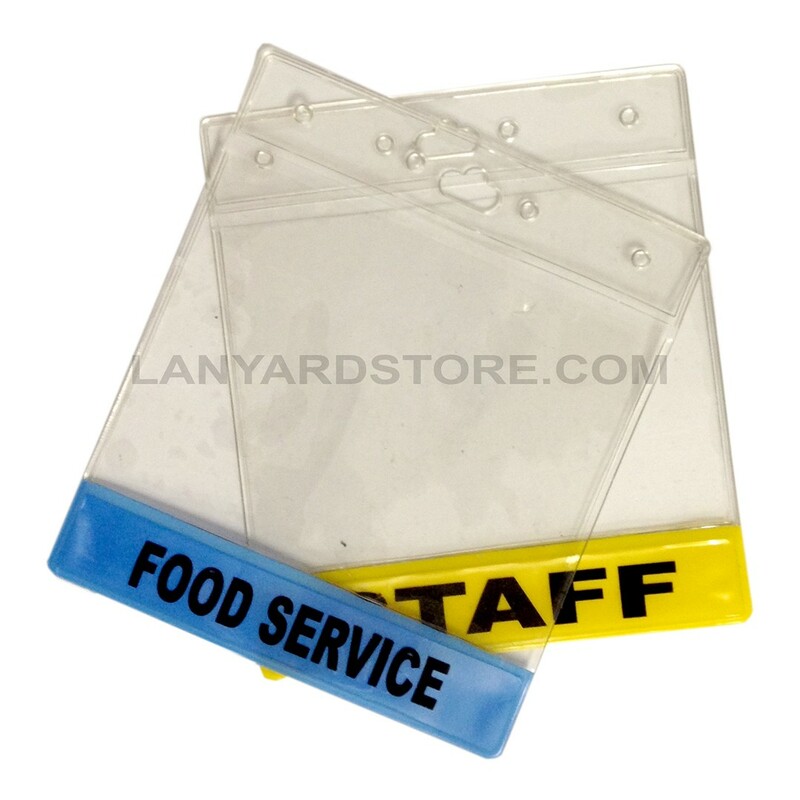 Standard trade-show sized clear plastic ID holders with a colored strip on the bottom. 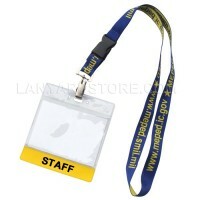 Custom printed with your own customized text or simple logo. 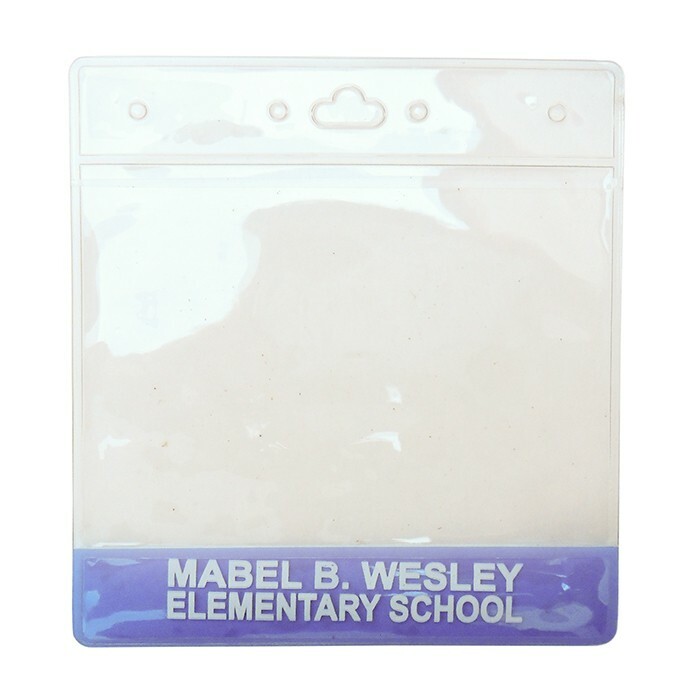 Imprint area 3.25" X .45" Holds 4 X 3 convention sized ID card Need them in a rush? Try here. Click here to see other sizes in comparison. 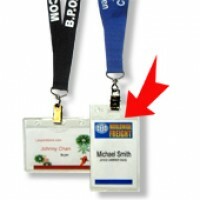 Are you submitting a logo?